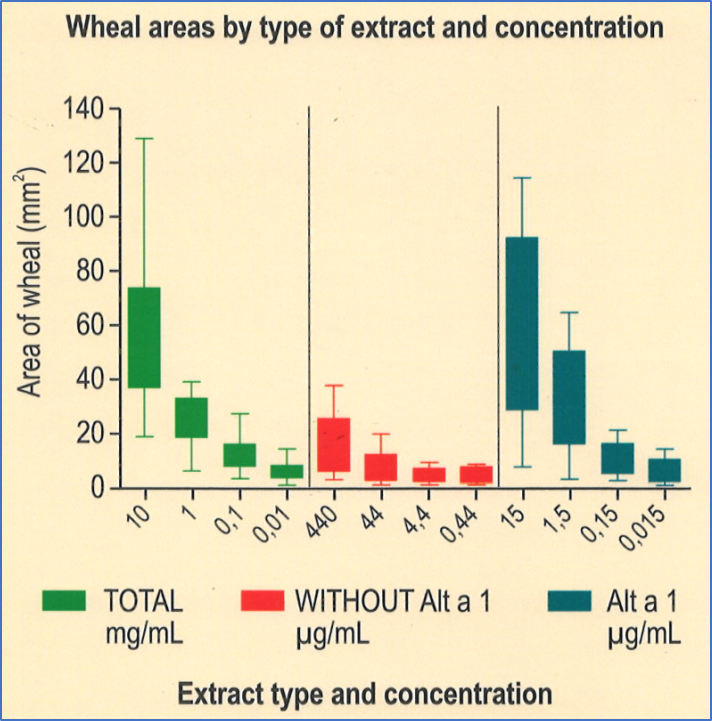 The wheal areas obtained with Alt a 1 protein are significantly greater than with extract of total Alternaria alternata and extract without Alt a 1. 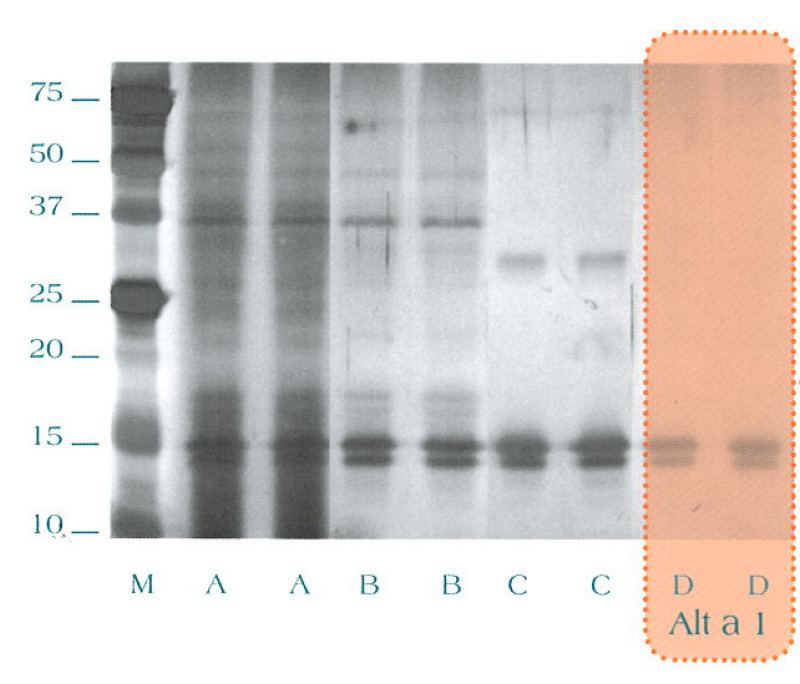 Alt a 1 is recommended for diagnosis and treatment of Alternaria alternata-sensitised patients. The major Alternaria alternata allergen is responsible for sensitisation of >90% of the allergic population. 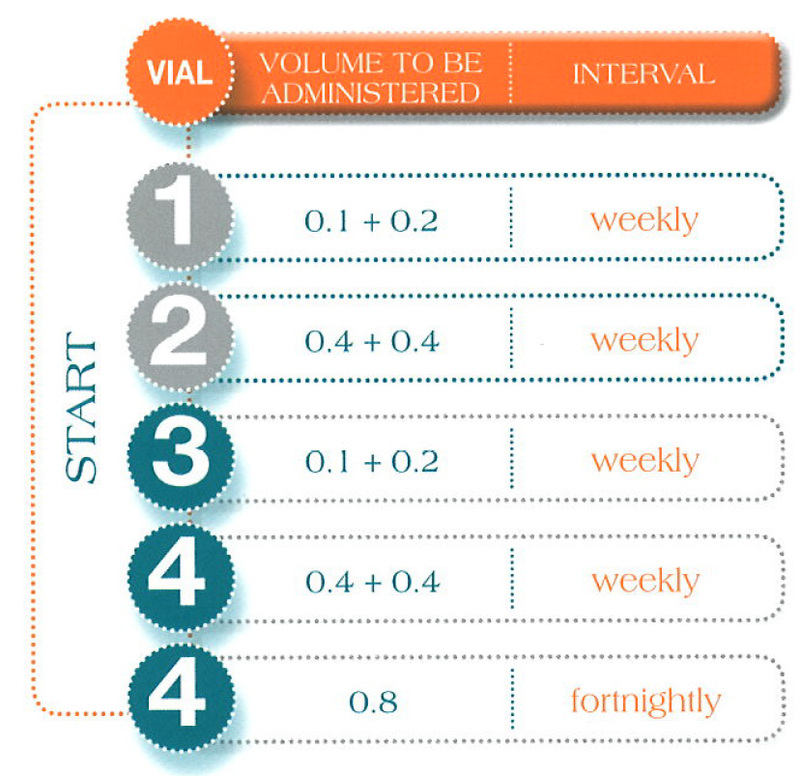 Multicentre, double-blind, randomised, placebo-controlled, parallel-group, clinical trail to evaluate the clinical efficacy and safety of immunotherapy with purified major allergen Alt a 1 in patients with allergic rhinoconjenctivitis with or without mild to moderate asthma, sensitised to fungus Alternaria alternata. 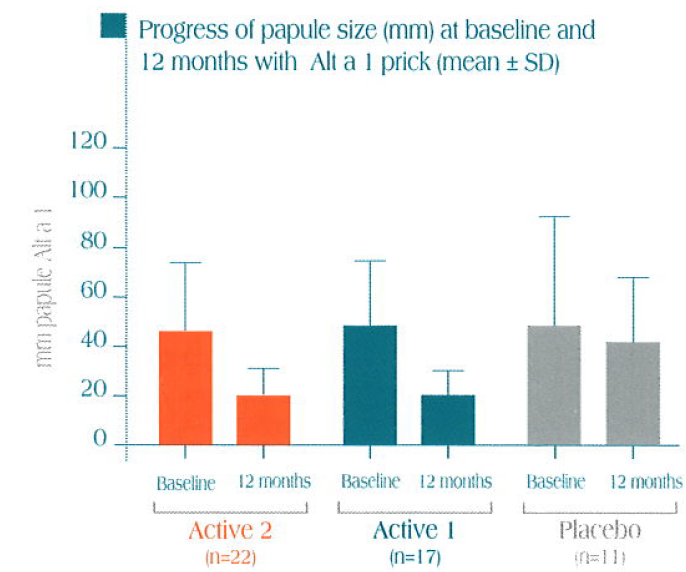 The clinical trial is performed in three arms over 23 participating sites: 2 active at 0.25μg/mL and 0.458μg/mL, and a placebo. 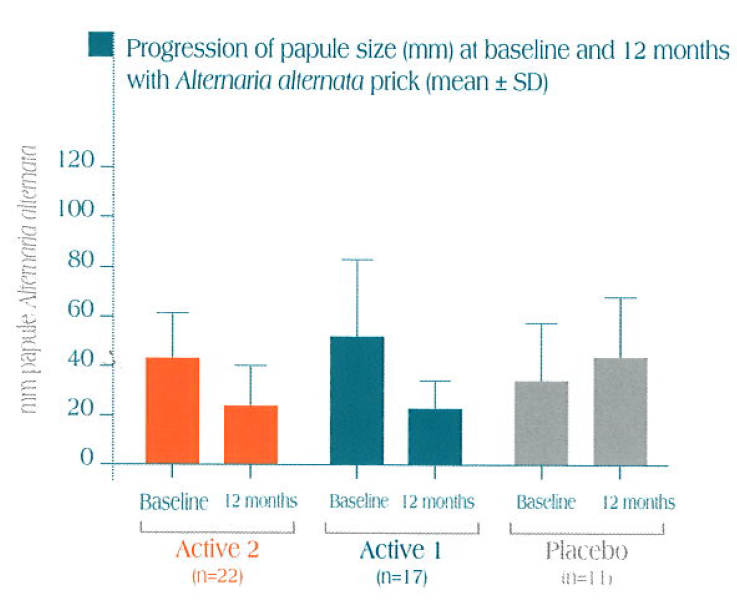 A statistically significant decrease in papule size is obtained after one year of immunotherapy with Alt a 1, both with Alt a 1 and with Alternaria alternata versus the control group. 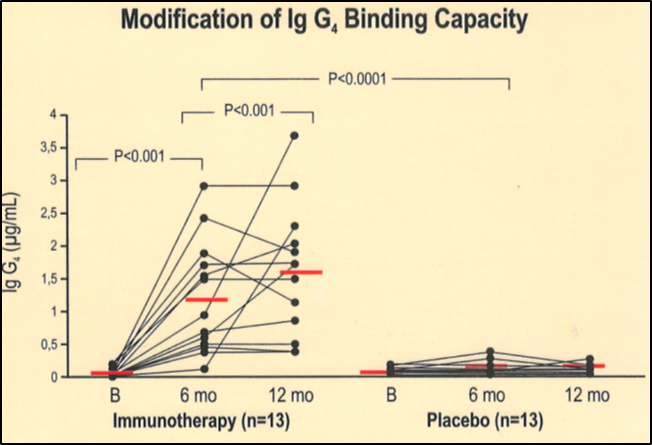 After one year of immunotherapy, a statistically significant increase in IgG 4 immunoglobulin is seen both in the Active 1 and the Active 2 versus the control group (placebo), where variation in the IgG 4 serum levels was not seen. 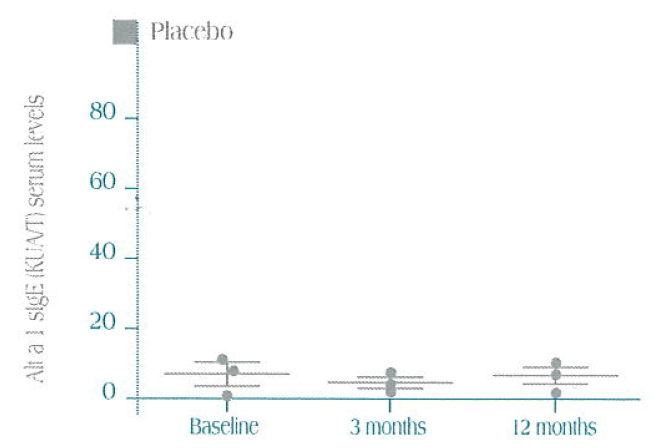 Alt a 1 is a safe treatment with a high level of tolerance; only mild or moderate adverse events were seen. No serious adverse events were reported. 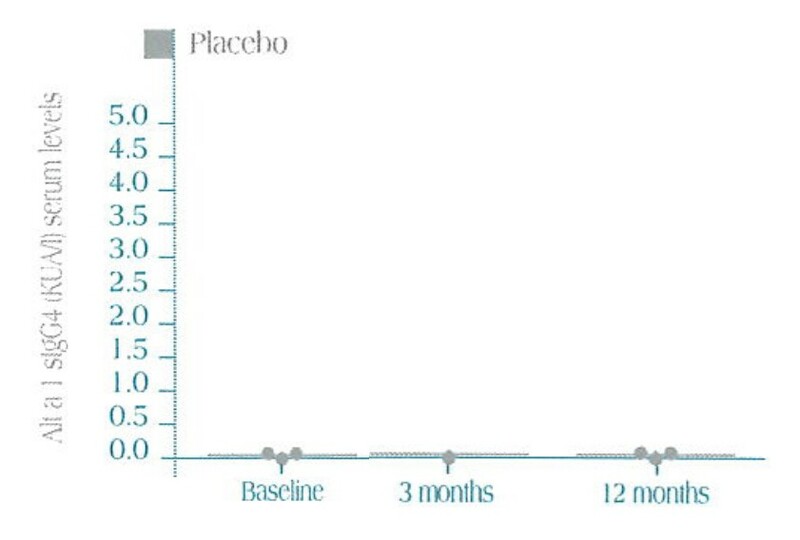 Previous clinical trials showed the same safety pattern.